Total HTML Converter is the quickest, handiest, friendliest and most powerful file conversion utility to convert HTM to JPEG. Whatever else is there to convert a two-hundred file batch almost as fast as one file? This is exactly in what our tool is matchless. All you need to do is perform a few steps and click Start button to do the whole job at once. Exculing text, shapes, or images from the final file. Defining the quality of the JPEG file (remember, that the file size depends on the quality of the image). Adding background color or background image to the output file. 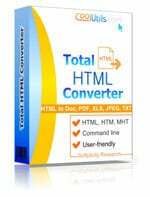 Total HTML Converter enables you to save HTML files in JPEG, TIFF, PDF and other formats. You can also make a screenshot of a webpage and render it in JPEG. Making HTM into JPG is quick and easy. You needn't be a software geek to do the job the right way. All you need to do is select a folder with HTM files contained in it and check-mark the files you would like to convert to JPG.The handy wizard will guide you through the whole process. It will not let you get off the right track! You can either check a few files or use Check all button to check-mark all the files in the folder. When you are through with the checking, select JPG. The handy wizard will help you adjust conversion parameters. You can either use your own settings or leave the default settings. When you have made your settings, click Start to finish conversion. By aid of this converter, you can convert HTM to image right from the desktop. 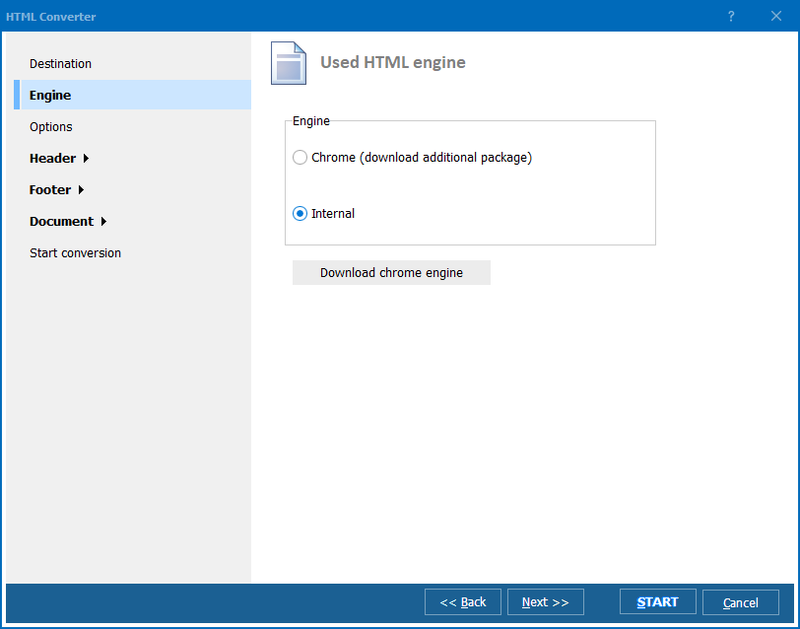 Once the program is installed on your PC, Convert to option will appear in the right-button pop-up menu. You can just right-click on a file and launch the program by selecting Convert to. Very handy! The program features command line support, which allows you to manage your files from within any other utility. 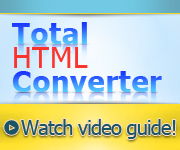 Total HTML Converter is available for online purchase. You can either buy the key right now or use the 30-day trial version. Registered users will receive free upgrades and tech support on a regular basis.